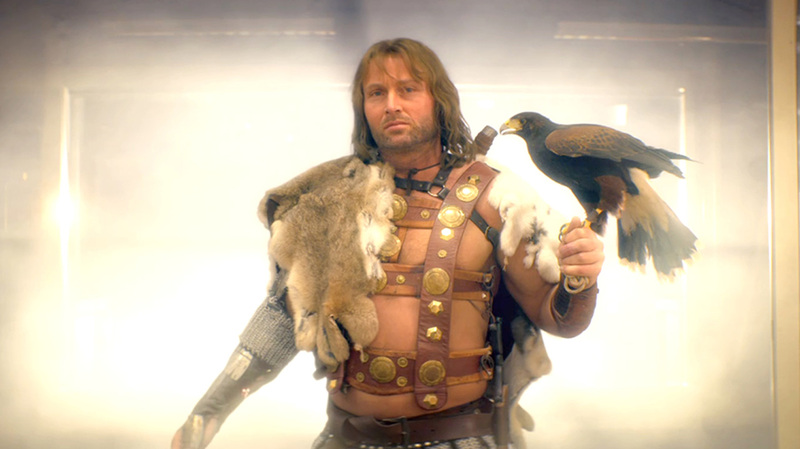 Hungryman's Taika Waititi and W+K London dip into a fantasy world for the new Tesco.com ad. Here we see a mum at home purchasing her shopping only with Tesco.com. She then drifts off into a fantasy, enter our fictional hero Borg, who takes great care in selecting her shopping for her until she is brought back to reality by her son. "It was great to continue working with WK on the great Tesco work they are producing. Taika was a pleasure to team up with and his direction brings a smirking charm that really makes this spot stand out." Commented visual effects Producer Paul Schleicher. "We were well supported in our work by the agency team and it was a pleasure participating in this production. Rich D-C, as always, skillfully nipped and tucked the images to perfection and Seamus added a bold grade which finishes the work brilliantly."